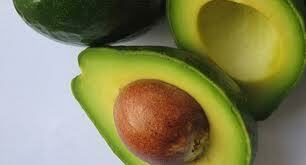 Place all ingredients in blender (avocado without skin or seed, and garlic without skin). Blend up until nice and creamy; no chunks left. Add kefir as needed to obtain desired consistency. Taste – add salt and herbs to taste. Store in a pint size jar. This could also be a spicy ranch by adding some chipotle seasonings. Use your imagination and enjoy! I love all the green herbs – like fresh parsley, thyme, oregano, chives, cilantro. If I don’t have fresh, I use Herbamare (can get it on Amazon). For my spicy seasonings, I get a mix from Azure that’s organic that I like. How do you “sour” the cream without making yourself sick? Sorry if that is a stupid question I’ve just never let anything sour on purpose! Souring cream is only recommended if the cream is raw – meaning unpasteurized, unhomogenized. We use raw milk and cream for all our dairy needs. Being a live food, raw milk and cream will naturally ferment when left out. This is how it “sours”. It is the same as making yogurt or kefir or any other fermented dairy. Fermented dairy is actually even more nutrient dense than unfermented, because it is now probiotic; and the fermentation process leaves behind new nutrients as well as taking out much of the simple sugars and lactose. If you don’t have access to raw dairy, you could use store bought organic sour cream in its place. Otherwise, if you’re interested in finding raw dairy in your area, go to: http://www.realmilk.com/real-milk-finder/.